House of Hammer Horror is one of the more unique displays that the Tourers have visited. 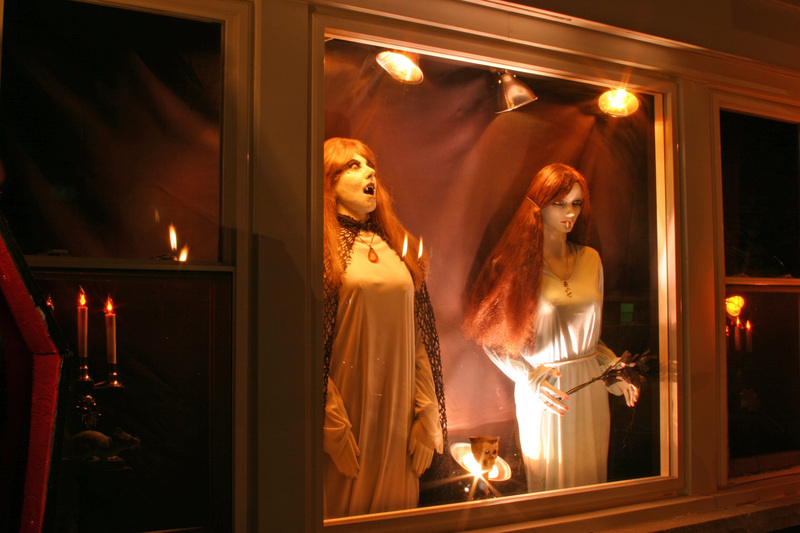 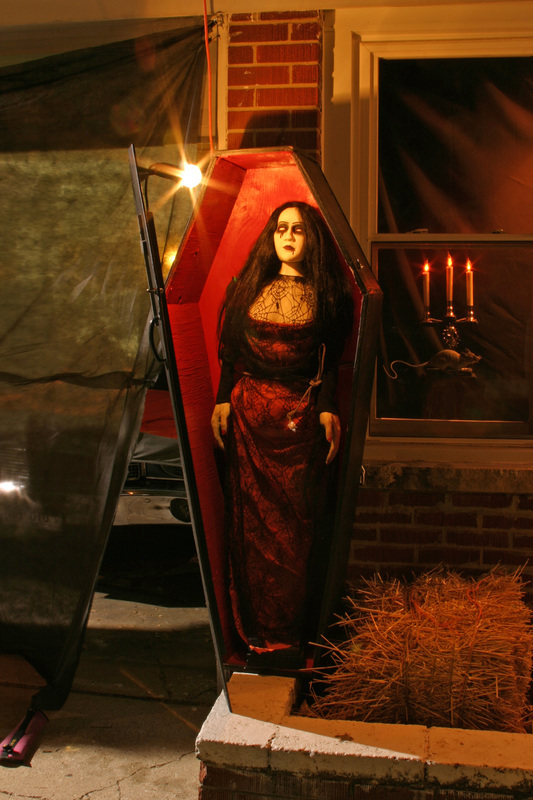 As the name suggests, it owes its theme to the classic Hammer horror films of the 50's and 60's, and it is the only display that we know of to focus on Hammer films. 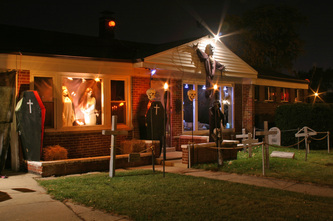 This alone makes it something worthwhile to see, if only to figure out which movies are represented! 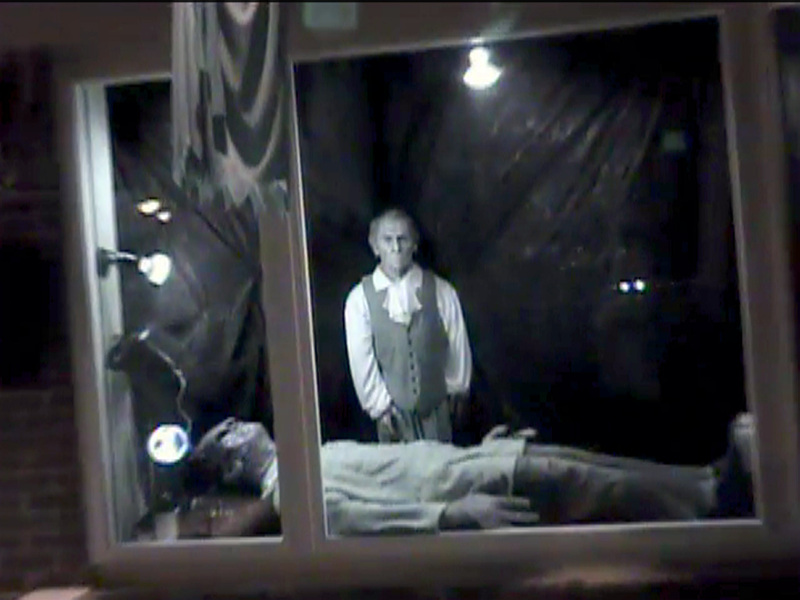 The main display consists of a scene from the Evil of Frankenstein (1957), starting Peter Cushing as Baron Frankenstein and wresler Kiwi Kingston as the monster. 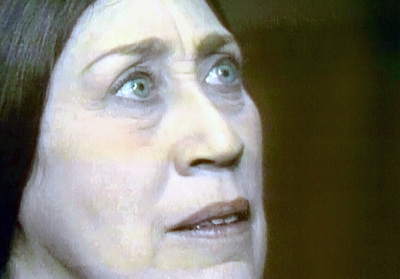 Cushing's likeness is created from a modified Grand Moff Tarkin mask and looks simply fantastic. Additional movie characters represented include Christopher Lee's Creature from Curse of Frankenstein (1957), some female vampires from The Vamprie Lovers (1970), a couple of brides from The Brides of Dracula (1960), and Oliver Reed's werewolf from Curse of the Werewolf (1961). In fact, the werewolf mask used in this scene was imported from England and looks remarkably like Oliver Reed did in the movie. 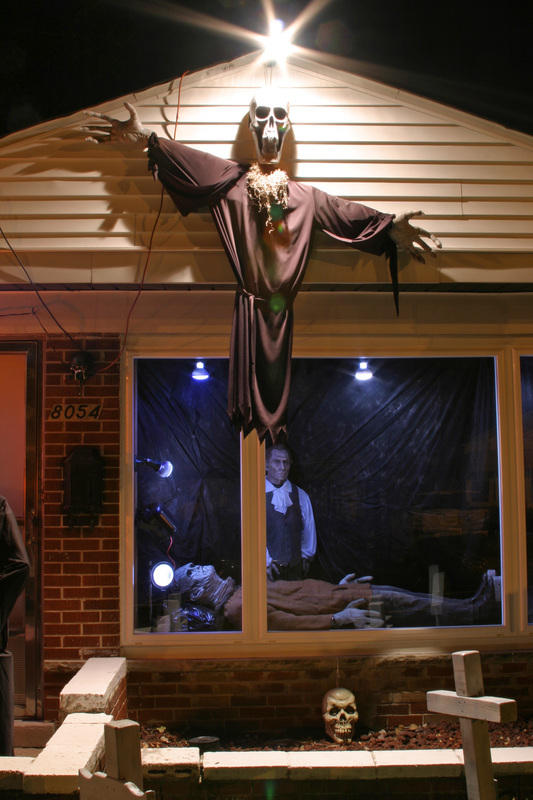 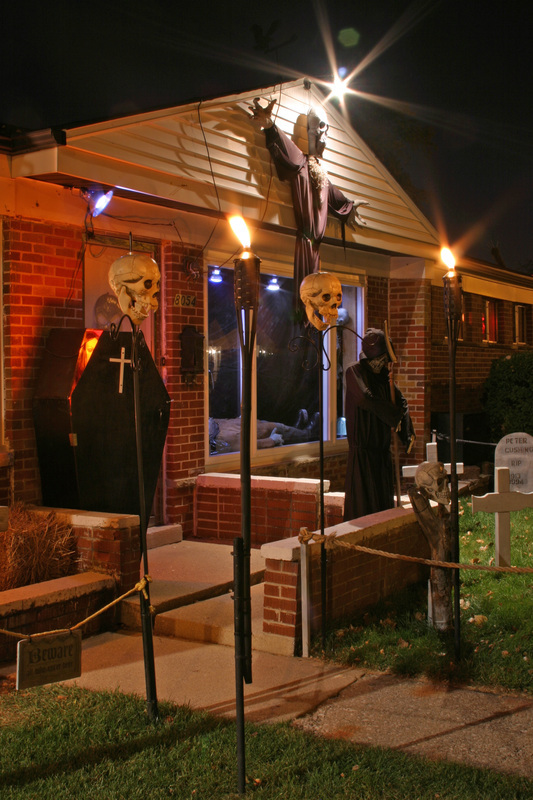 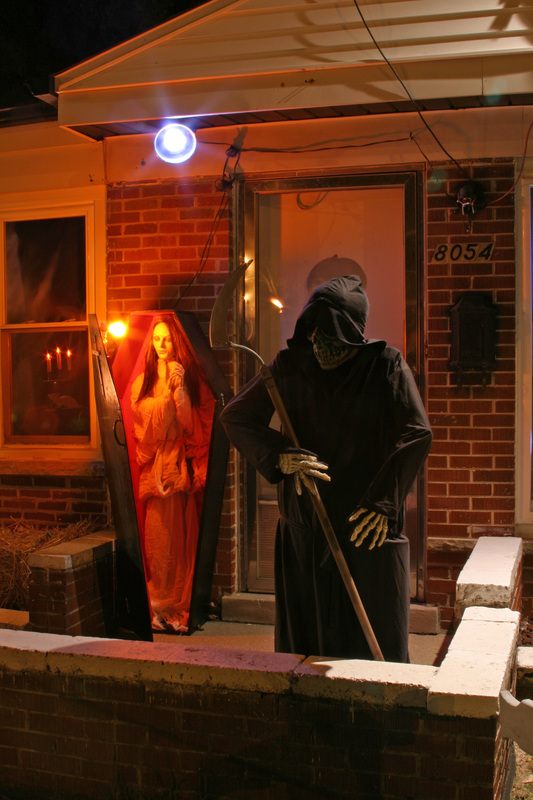 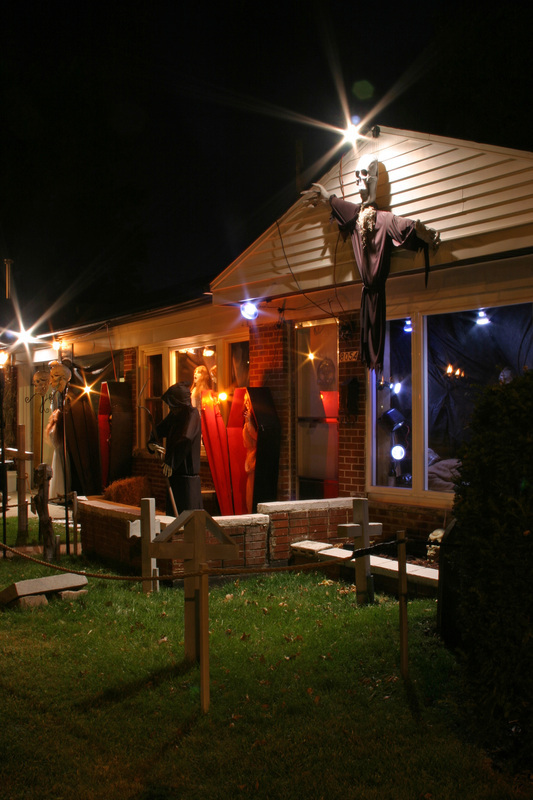 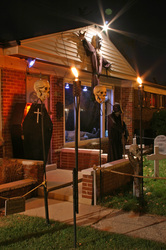 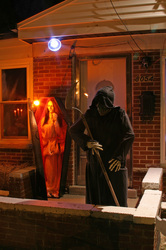 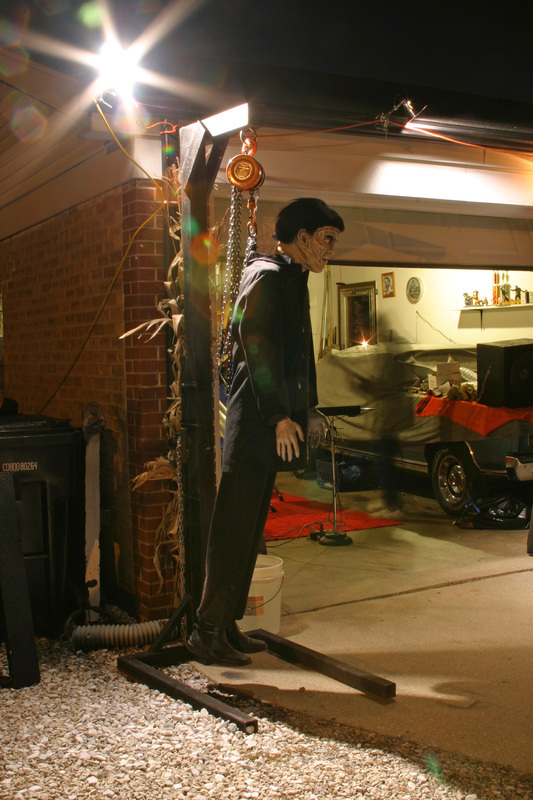 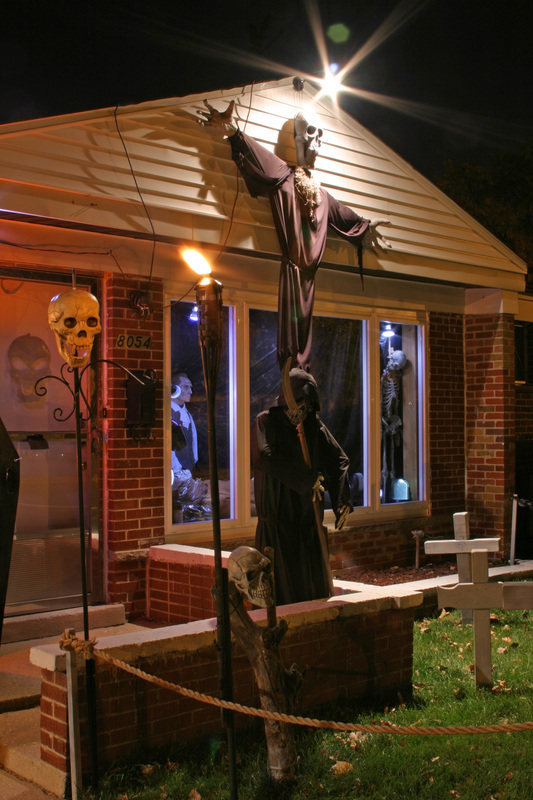 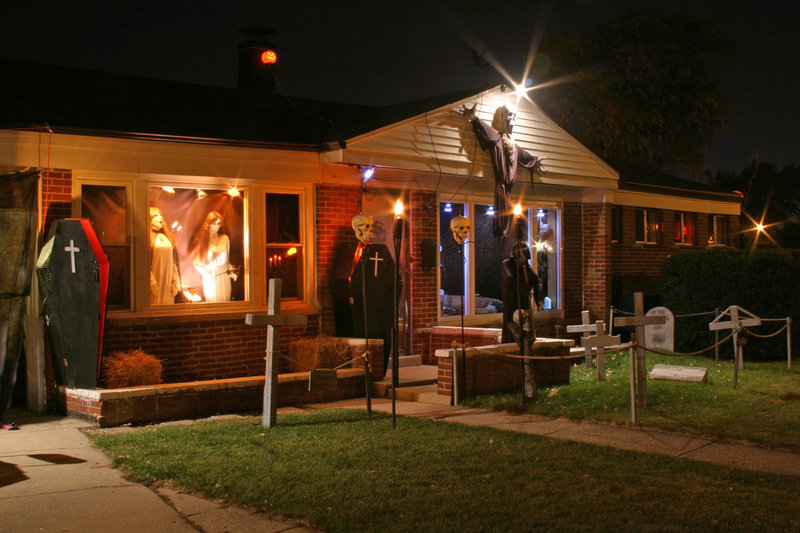 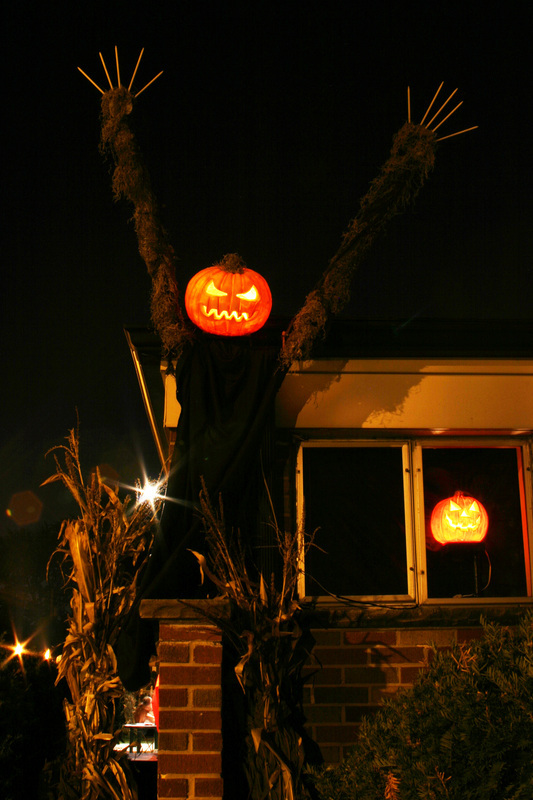 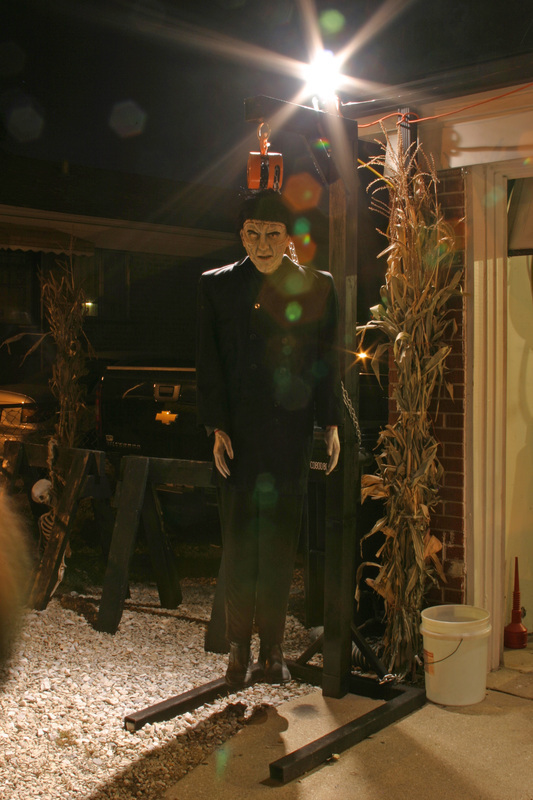 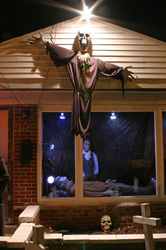 In addition to the Hammer related displays, there are some other, more standard props, including a giant Jack-O-Lantern headed creature, a billowing ghoul on the front of the house, and a Grim Reaper overlooking a cemetery. 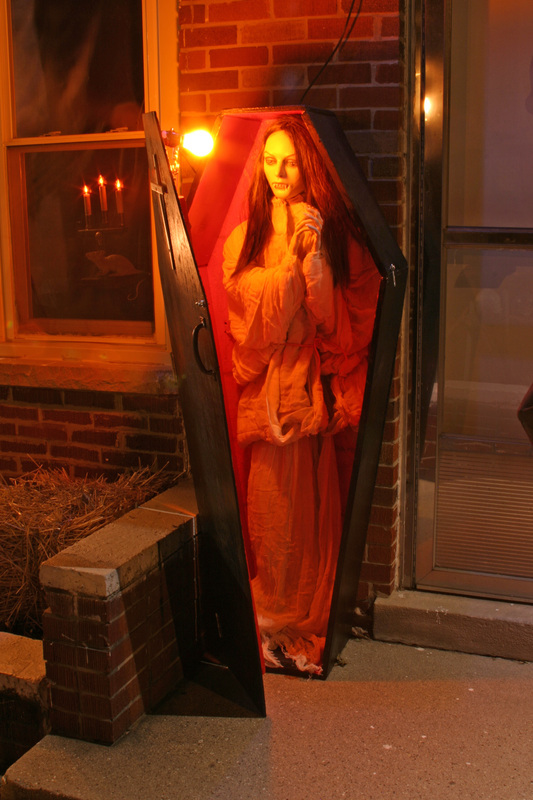 All of the tombstones in the cemetery are hand made from wood, and it even features a tombstone in tribute to Peter Cushing - a nice touch. 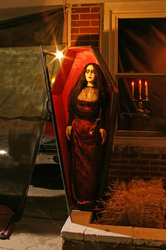 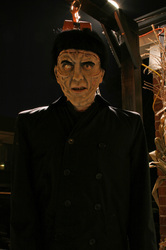 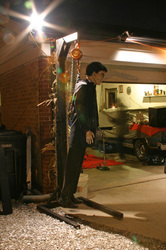 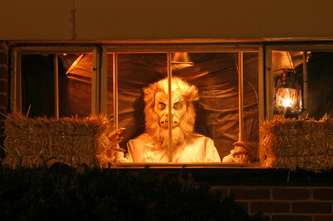 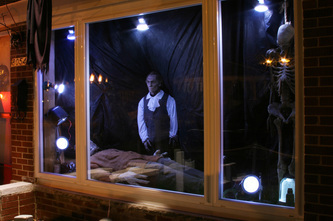 When talking about House of Hammer Horror, one must also mention Monster Mike, the owner and operator of the display. 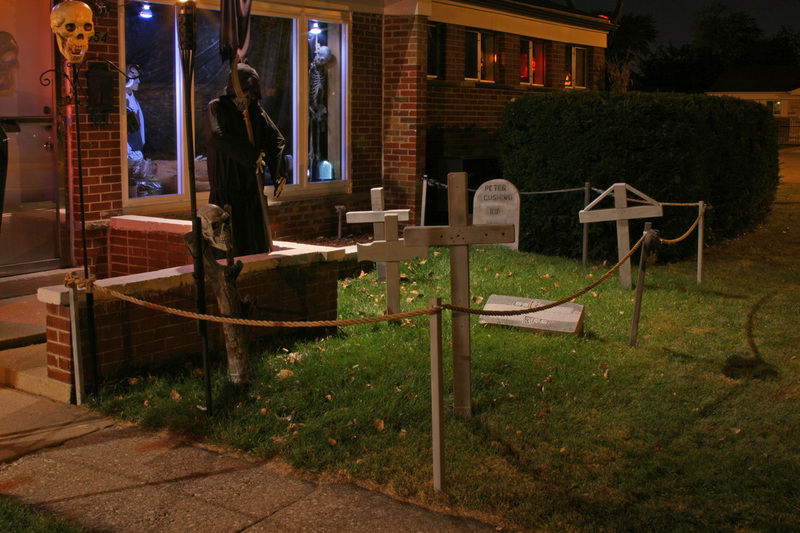 Mike is a really nice man who has been setting up yard displays since 1983. 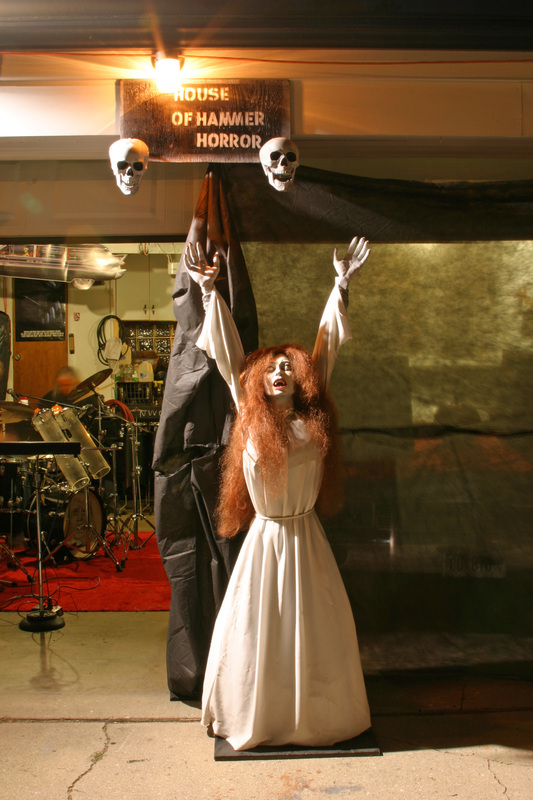 He not only makes sure to greet visitors when they come to the House of Hammer Horror, but he also performs live Halloween-themed music (both covers and original songs) in his garage every Friday during the Halloween season. 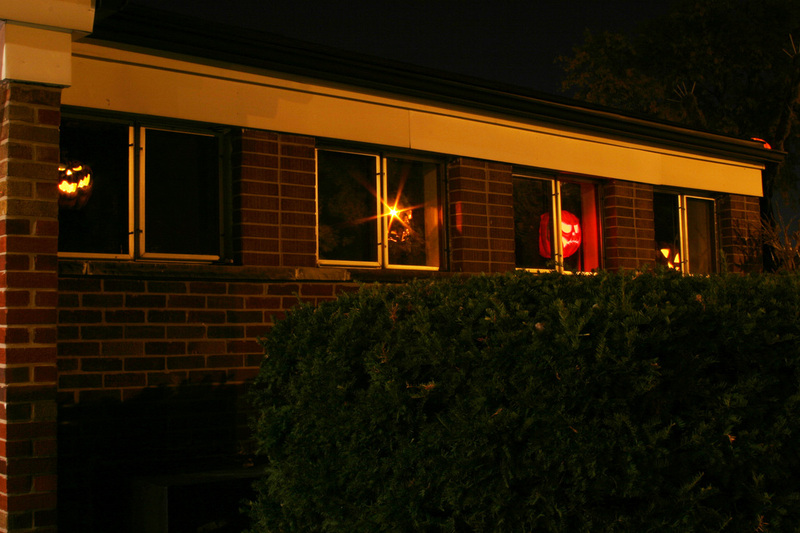 We've heard some of Mike's music and it is really fantastic. 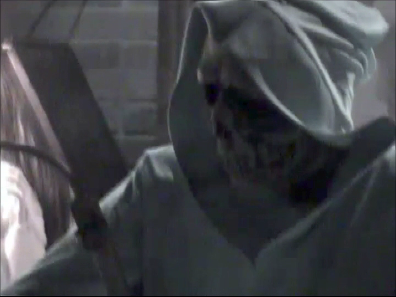 Mike was kind enough to let us use some of his original music for our videos, including the House of Hammer Horror videos on this page, which feature the (very appropriate) original song "Hammer Death March." 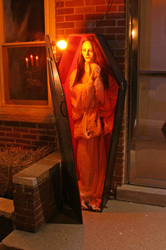 as well as "Heart Bleed." 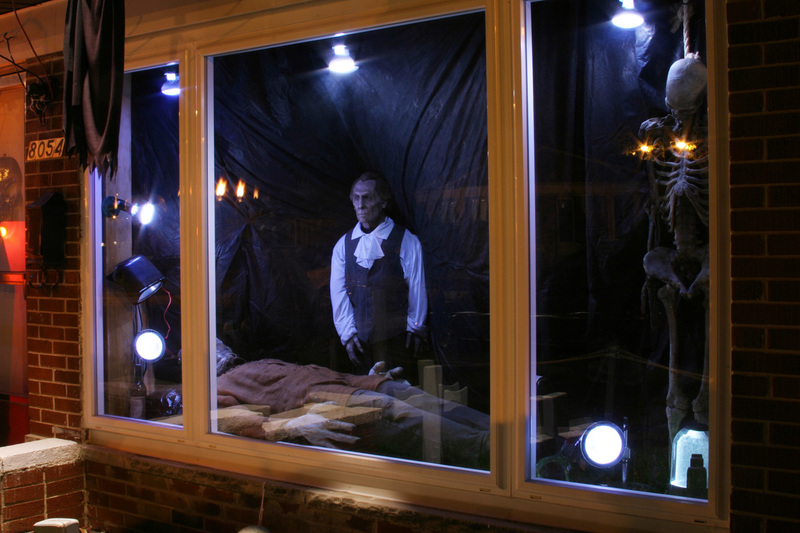 Although the House of Hammer Horror doesn't have a huge amount of displays (as space is limited), what is there is very creative and, as far as we know, the only Hammer-themed display around. 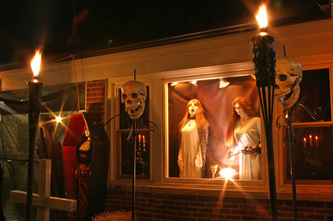 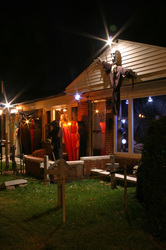 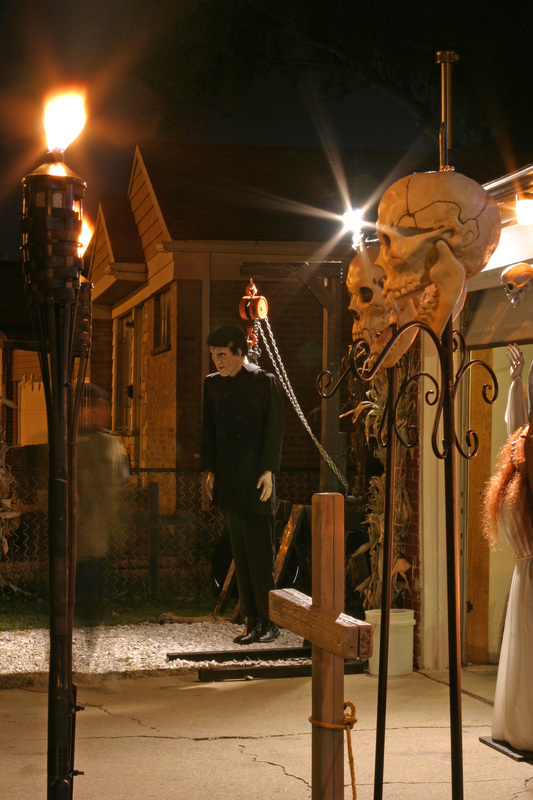 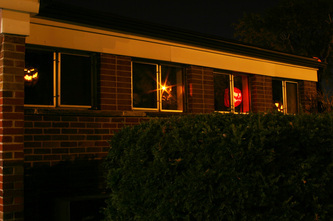 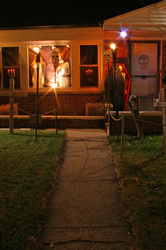 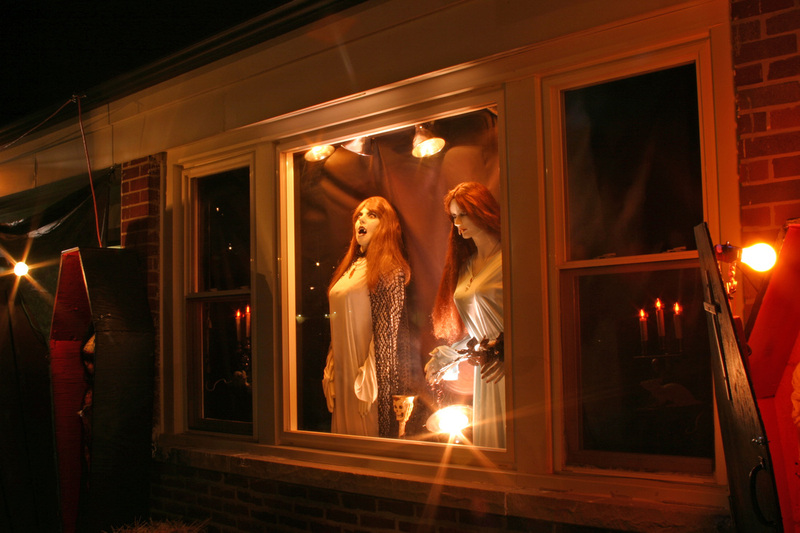 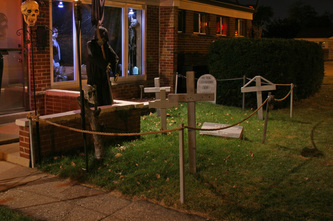 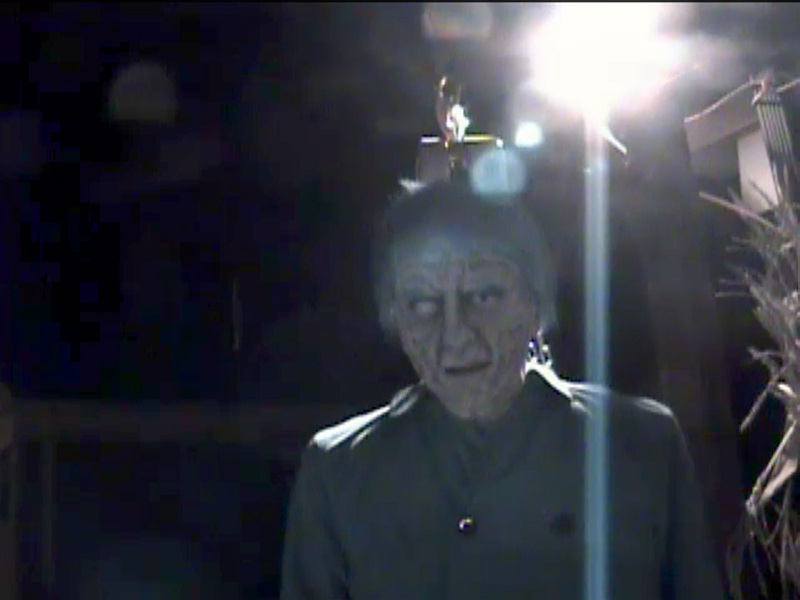 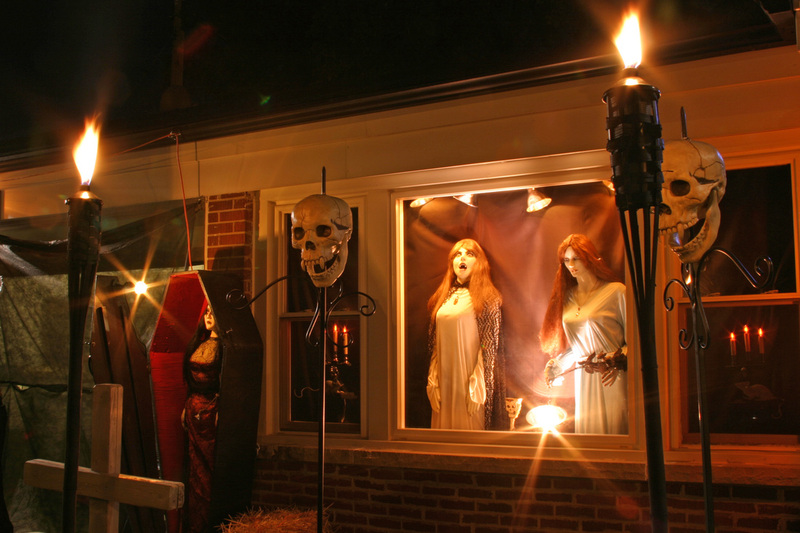 This fact, the uniqueness of the various setups, the live music, and the creepy atmosphere generated by spooky music and tiki torches makes House of Hammer Horror a yard display like no other. 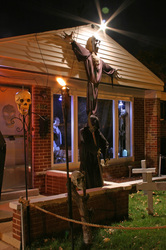 If you want something different than your standard display, be sure to check it out!